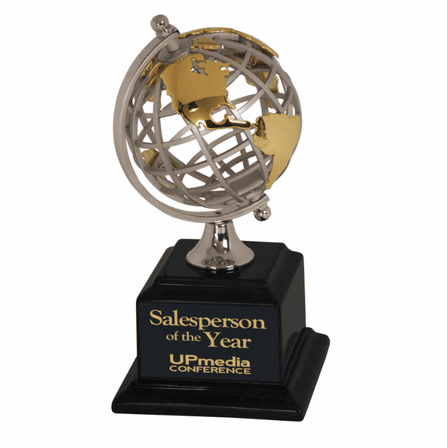 FEATURES/SPECS Let a valued employee or beloved coworker know that you think the world of them with this spinning globe desktop award. 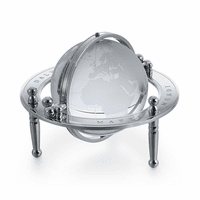 It includes a working globe made of solid stainless steel bars interlocked into an orb. 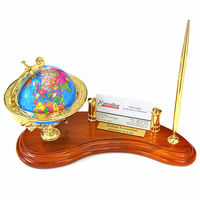 Attached to the globe are polished gold continents that are a striking contrast to the silver base. 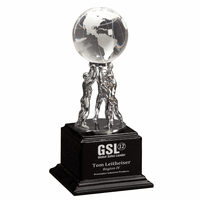 The globe is mounted on a stainless steel gyro that is attached to a piano finished black wood base. 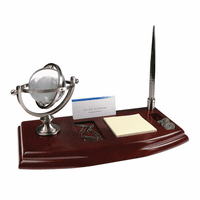 Add your company logo and/or some personalized text to the base free of charge. 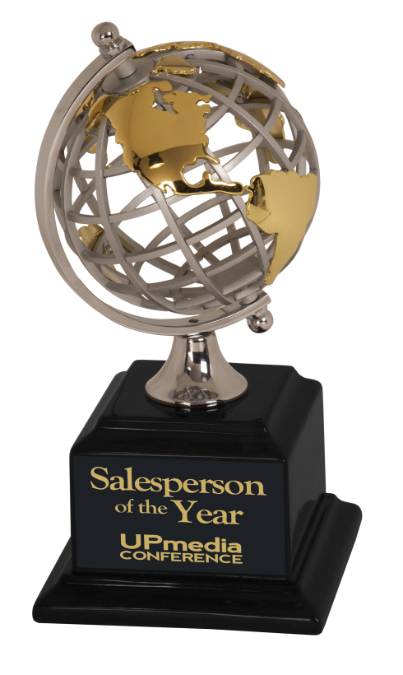 For logo orders, we'll email you a proof for final approval before we ship your order.